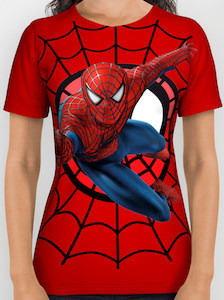 If Spider-Man is what you like then this red Spider-Man all over t-shirt is what you need. The t-shirt is made for both men and women that love Spider-Man. The red t-shirt has a giant spiderweb logo in the background and on top you find Spider-Man and besides the front, you also get the same image on the back so that people behind you can see you like the Marvel superhero. 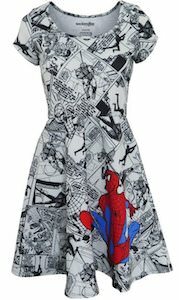 You can get this Spider-Man t-shirt in sizes XSmall – 2XL and the cool design makes it look stunning on both men and women. No longer do you need to search for the perfect Spider-Man t-shirt as this is the shirt you want.